There are not many children’s lullabies in the Tongan language. This probably has to do with the old traditional attitude that kids should be seen but not heard. 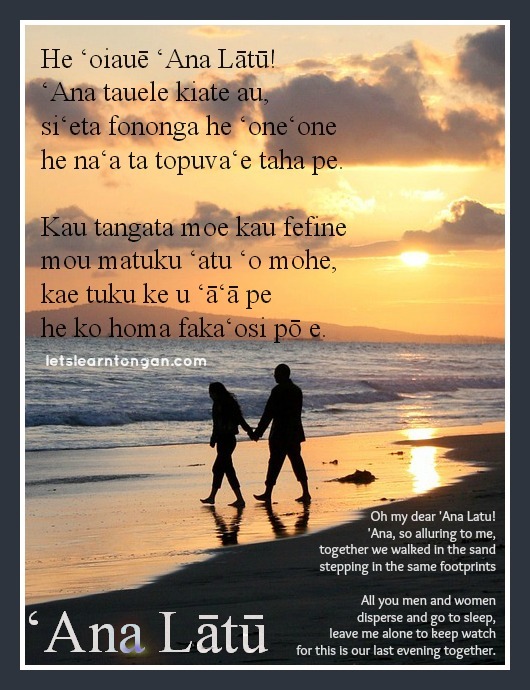 ‘Ana Latu is the closest one I could think which is a well known children’s lullaby a lot of mother’s sing to their kids. But if you listen closely to the words, this song is actually a lamenting song about ‘Ana who has departed this world. By Hema Fifita in Read & Write, Songs on December 13, 2013 .